It’s simple! For every referral that books a session with KMP – you will both receive a $50 gift certificate. There is no limit to how many clients you can refer. Get rewarded every single time! All returning clients automatically receive credit for scheduling their next session with KMP! Prior to scheduling your session, I’ll ask if you’d like to use your credit towards your session fee or for prints/products. While you can spread the word however you like, I will also provide you with custom referral cards that you can hand out to family and friends. Once your new referral books and completes a session with KMP, I will notify you on collecting your reward. Don’t worry, I keep track of all referrals you send! Your referral MUST purchase a session with KMP. If they book and then cancel, the credit no longer applies. Referral credits can only be used towards new/future sessions and expire within a year. I will send a reminder email for all upcoming credit dates. What is the one thing you are most indecisive about? What you’ll wear/eat/watch/listen to? I’d love to chat with you! Leave me a comment – click the link right over there. Do you stress out when you love too many of your session images? How on earth will you choose the right one to hang on your wall? What if you change your mind? We can eliminate these fears right now, my friends. You’ve got enough going on – choosing images for your wall art is the least of your worries. Have you read how snapping one photo can help you visualize custom wall art in your home? If not, check it out! If you love too many of your session images, who’s to say that you can only choose one to showcase on your walls? Check out this gorgeous canvas cluster of six below. Can you envision something like this in your home? Imagine adding additional images in the future, or being able to change layouts for an entirely different look – the possibilities are endless. The best thing of all – you will never need to guess what your images will look like on your walls. Click to see how KMP takes the stress away and makes deciding a breeze. Need more inspiration? Check out these other Wall Art examples! Now, how flippin’ adorable is this family?! Sharing a few of my most favorite images from their session. If you haven’t already, be sure to join the VIP List (below!) so you don’t miss out on the latest at KMP! Do you know someone in Philadelphia, Montgomery County, or Bucks County that would LOVE to fill their walls with custom wall art? Please share this with them! Enter your information below to join KMP’s VIP list! Your walls. Your photos. The right size. Don’t you love trying to visualize what something might look like in your home? *insert sarcasm here* Most of the time we hope for the best – you can never really know what that sofa, coffee table, throw rug, etc., will look like in your room until it arrives. Well, my friends, I’m pleased to announce that this “fun” home decor guessing game is over – at least when it comes to custom wall art with KMP! Guessing what will look good on your walls is a thing of the past! Let me show you. After scheduling your session, you will receive simple instructions for taking a photo of your room. 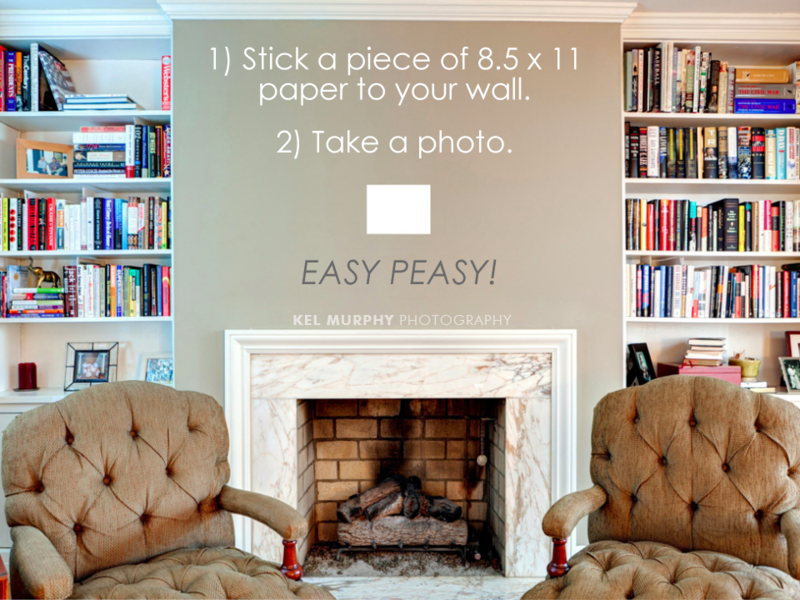 I’ll then work my magic to show you what your photos will look like at exactly the right size on your walls. 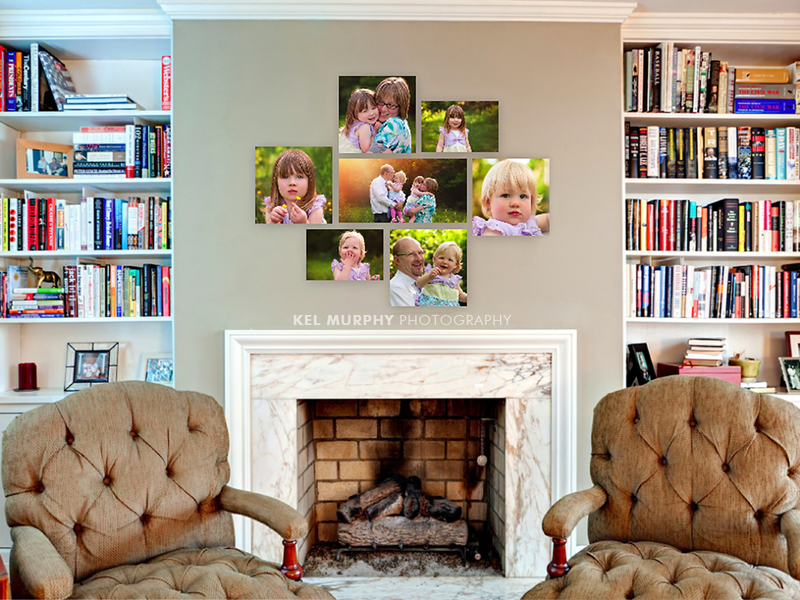 You will truly be able to see how great your session images look in your home! Prior to your session, we’ll chat about the type of wall art that you adore, and which rooms/walls you’d love to fill with images. After your session, I will show you numerous wall layouts (during your in-person viewing, or via email) filled with images from your session. Being able to see layouts that work with your particular room is the most important part of this process. You will never need to wonder if you’re choosing the right image, layout or size for your home. So, let’s do this! 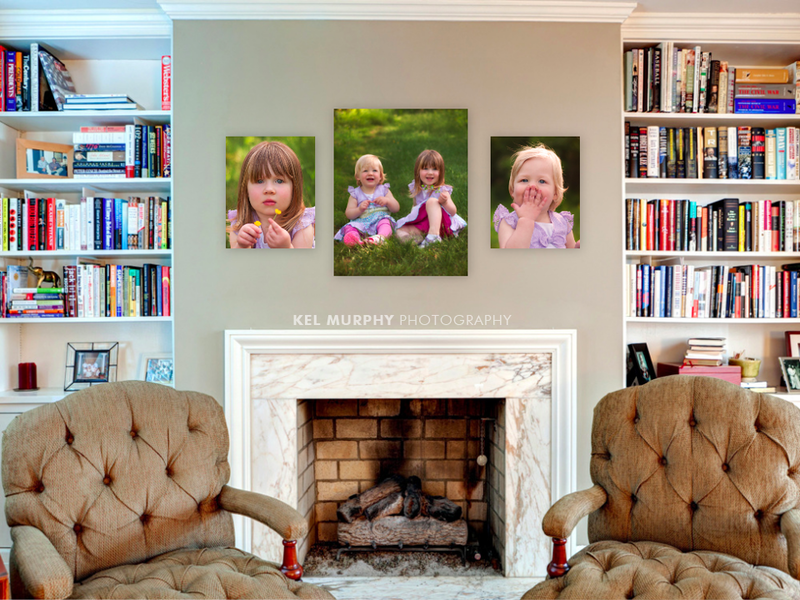 Are you ready to decorate those blank walls with images of your children and/or family? How would it make you feel to walk into your living room and see these memories beautifully showcased? If you haven’t already, be sure to join the VIP List (below!) so you don’t miss out on the latest tips, tricks, specials, and fun at KMP! I am pleased to introduce KMP’s Holiday Gift Giving Exclusive Package! This is the perfect opportunity for clients to get everything they need for the Holiday Season for an all-inclusive price. The kids are back in school, the weather is getting cooler, and leaves are starting to fall. You know what that means – time to schedule your Holiday Session! The Holiday Exclusive Package includes: your session fee, 1-2 hour session, 25 (giddy-worthy) proof images, 50 custom holiday cards (5×7 flat w/envelopes), 10 gift prints (8×10 & smaller – any image from your session), 2 full-resolution digital files, custom holiday ornament, and an amazing shareable session video. Items in this package are fully upgradeable – if you’d like to change the type of cards, or add products, you absolutely can! Everything you want and need for the season. Looking for a package that includes everything you need for the Holidays? Look no further! One price. All-inclusive. Couldn’t be easier! This package will be the only opportunity for KMP clients to order holiday cards for the season. I will no longer be offering custom cards with any of KMP’s Packages for this year. These babies will go fast! I am only offering 15 Holiday Exclusive Packages for this season. Be sure to contact me ASAP to schedule yours. NOTE: At the time of posting – there are only 10 Holiday Exclusive Packages left! This package is exactly what many of my holiday clients have been asking for, but it’s not for everyone. 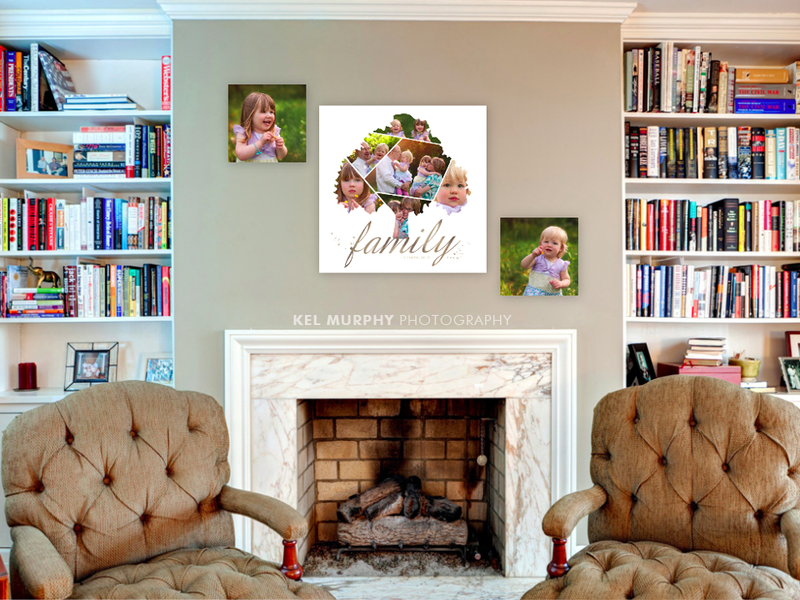 If you’re looking for primarily wall art, gift prints, and other items – please be sure to check out KMP’s Welcome Guide where you can see my regular packages. • 50% of package price and signed agreement are due at time of booking. • Package items are upgradeable but can not be exchanged or swapped out for other products. Please check out KMP’s Packages HERE if you’re looking for a customized collection. • If you have a gift certificate or have already paid your session fee – please let me know ASAP if you’d like this Holiday Package. I will send an invoice for the remainder of the 50% balance.